Testimonials Testimonials – Patrick Law Firm, P.C. Austin at P.L.F., and Craig Patrick handled my case claim with the [car company] over my trucks transmission with the professionalism and urgency required. I am really happy with the fast results produced by this law firm. I will always tell anyone who will listen to me to use this firm. I was very much satisfied with the way you handled my case. Thank you for reaching a settlement so quickly. I just wanted to say “Thank you” for your efforts in my behalf in effecting a settlement with [the auto manufacturer] regarding my 2011 Diesel Truck. I have to admit when we started the process, I was not real optimistic that we would ever reach a settlement. I guess my assumption was that it is next to impossible to fight a giant corporation like [the auto manufacturer]. You definitely proved my wrong. You can be sure that if I ever experience similar problems with any future vehicles I may own, I will definitely call on the Patrick Law Firm to help me. THE PATRICK LAW FIRM HANDLED MY CASE AND GOT ME A SATISFACTORY SETTLEMENT. I WOULD RECOMMEND THIS LAW FIRM TO ANYONE WHO FEELS RIPED OFF BY ANY BIG CORPORATION AND IS UNABLE TO GET RESULTS ON HIS/HER OWN. Excellent and very professional services. Glad we found you to assist with our vehicle problems. Craig Patrick handled my lemon law case against [the auto manufacturer] with professionalism and I would highly recommend his firm to anyone with this type of problem. I am very satisfied with his handling of the case and I received more money back than I expected. Craig, Patrick Law Firm, done a great job! You and your staff treated us with respect giving us assistance, regarding the defective car from [the auto manufacturer]. The wife and I will tell all that needs help on defective products, help is out there at Patrick Law Firm! Well, “First off” Great Service. I just wanted to thank your firm for a job well done on my behalf. To say I was impressed is an understatement! I wish to emphasize the enormous gratitude I feel towards your legal firm for all the hard work and dedication you proved to my case. You were in constant contact with me throughout the course of my case. I received prompt replies and detailed correspondence every step of the way. Through, phone conversations and emails. What can I say about such Efficiency, Courtesy and quality of service. I would be happy to recommend your service to anyone! Should I hear of anyone in my family, neighborhood, friends, co-workers etc. Hopefully, I will not need your service in the future, but it is certainly nice to know that I have a “friend” who is on my side and ready to go to bat for me. When I first emailed your firm I felt frustrated and lost not really knowing which way to turn; but thanks to your firm and your wonderful attorneys and legal staff, I feel like justice has been served! And, I owe it all to you!! Thank you for everything. I can’t tell you how much help you were to me. As you know I was trying to run a business, take care of my terminally ill husband and deal with a new motor home that was always in the shop. I knew how the Texas Lemon Law worked, but just as I was getting things together to file I received a letter from your law firm. I called and first talked to Austin. He was so nice and made me feel as though I could trust him. I got the same feeling after talking to you. The stress you relieved made such a difference in my life. The case was settled quickly and to my satisfaction. I would highly recommend this law firm to anyone. I have had nothing but good experiences with Patrick Law Firm. Their professionalism and expertise were real, and I highly recommend them to anyone. When the truck I bought broke down only 9 days after purchase and the car lot, extended warranty, nor the insurance company would cover the cost, I contacted Patrick Law Firm. The return response was quick, Mr. Patrick and his staff looked over my complaint and started working on a claim right away. Although the process to settle was long his staff was always quick to answer questions I called about. They kept me informed of an proceedings right away. I was pleased with the settlement Mr. Patrick got for me. I would recommend Patrick Law Firm to anyone who might need his assistance. Mr. Patrick was very nice, helpful and understanding from the beginning when he took on my case. I always felt very comfortable and confident that he had my best interest in mind. Everyone at the law firm was always professional, courteous and helpful. I would definitely refer Mr. Patrick and his firm. Patrick Law Firm did a great job dealing with the car company and keeping me up to date on the progress. I really appreciated his willingness to go above and beyond by working long hours and even while he was away on a trip. Great customer service- He was in this for me and it showed thru in all that he did. MR PATRICK HANDLED MY CASE TO A SATISFACTORY CONCLUSION. HE EXPLAINED THE PROCESS SO THAT IT WAS UNDERSTANDABLE TO A NON LAWYER. I want to give my testimony of the services given to me by Patricks law firm. They gave me a very good services. I was well informed throughout the process, and I got very satisfying results. I recommend them for such cases since they were of great help. Thank you for everything. Craig Patrick is an attentive, detailed and aggressive attorney that will fight for what is right and prove your case by justice. Lawsuits are a very stressful and exhausting mesure to take but Craig makes it very easy and keeps you informed on how things are going. My husband and I are very pleased with this firm. I can’t say enough to express our thanks and appreciation for his patience and care that was given with our case. Craig went over and above to even help us in an out of state case after it was transferred out by the courts. That says a LOT!!! I could not be happier with my results from Patrick Law Firm. They took care of everything in a very timely manner. Not only did they get my car repaired, I got a substantial amount for all the trouble I went through. Craig was so nice to deal with and they did everything they said they would do. You can’t ask for more than that. I am a very pleased client. Professional, courteous and prompt. My claim was settled quickly and with little effort on my part. My experience with Patrick Law Firm Attorneys was great; the attorneys made me feel comfortable and helped me to get things resolved. My case was worked on immediately. We were in constant contact in getting all the proper documentation ready and filled out. Thank you for all your help!! Thanks for all your help. You were very considerate of our time and aided us in resolving our legal issue quickly and with satisfaction. Although we are not allowed to mention the company we sued, we will recommend you to others with similar issues. In January 2014 we purchased our first new 2014 motorhome in Houston, Texas. We made the purchase based on the reputation of the manufacturer as well as the large dealer. From the beginning we had issues with water leaks and a faulty bedroom slide. The dealer had multiple “attempts” to repair the issue to no avail. In the first year and a half of ownership the coach had been in the shop over 120 days and had less than 3500 miles on the odometer. Feeling helpless we researched attorneys and found Patrick Law Firm in Dallas who took our case. In just a few months after retaining Patrick we had a settlement offer. While we simply wanted the manufacturer to buy back the coach that offer was not tendered. We settled for far less than what we believed was fair however given that the coach was out of warranty for many of the trips to the dealership we believed that this offer was the best available. We were given a cash settlement AND repairs to the plumbing, seals and slide out. Oddly enough when we went to the dealership after the settlement agreement we got a full walk around and the service writer even pointed out things not on the settlement which would be checked out. The problem with the slide was traced to faulty repairs done at one of the other dealership lots owned by the same company. It is a shame that such excellent customer service was not provided prior to the filing of a suit. We highly recommend the Patrick Law Firm in handling recreational vehicle cases. I was pleased with the representation provided by the Patrick Law Firm in the settlement of my dispute with ( ) over the poor transmission in my 2013 ( ). I had trouble getting records from the dealer and ( ) but Patrick kept following up and providing suggestions on how to get action from these parties. After I finally got all the information, Patrick Law Firm handled everything for me. I couldn’t be more pleased. After getting the run around from my dealership and ( ) for two years I reached out to Patrick Law firm for help. Within weeks ( ) responded that they would replace my defective vehicle and I couldn’t be more pleased with the results. Patrick Law Firm handled the entire matter quickly and professionally. I highly recommend them if you’re dealing with a Lemon. After about 11 months of trying to get my ( ) repaired by dealer and ( ). I called Patrick Law Firm. Less than 2 months Patrick had me a check and full warranty for 1 YRS. I highly recommend Patrick Law Firm. When the manufacturer finally sent me a letter acknowledging my car had an inherent mechanical flaw, it was at the end of three years’ worth of hassle for me. So now I had this mechanical issue that will basically never be completely fixed, and my car was worth practically nothing now that the manufacturer admitted publicly to the problem. I was thinking I would just be eating the rapid depreciation on my car, when I was put on to Patrick Law Firm. I didn’t think there would be much interest because we aren’t talking about a $200,000 car here; it’s just an inexpensive domestic car. But Craig and his team went to bat for me just as if it WAS a Bentley. In a very short time, I had the full resale value of my car in my pocket. Thank goodness there are consumer advocates out there like the Patrick Law Firm looking out for us regular working stiffs! I knew keeping my paperwork in order would pay off because when I found out my car I invested in was a lemmon. I wouldn’t stop thing until I got something back from ( ) for selling me a car valued at a price that could of been next to a preius toyota or better so I recomend this Law Firm and keep trying until they pay because it took me two times before they said I wasn’t going to give up until it would be full value and not just a transmission (3,000) roughly is what I got back and I appreciate the work. Thanks. I would like to thank you so much for helping me resolve the issue with my car. For me it was a huge problem. I am so very pleased with the way that you handled my claim. Austin was so kind and made me feel comfortable in handling my faxes and phone calls. Should I, or anyone that I know, have defective products, I will certainly have them contact you. Thank you so much for helping me with my settlement. I own a 2015 ( ) that I purchased in June. In early September, the engine stalled on the way home and would not run. Under full warranty, the ( ) dealer had my car for 2 weeks with this intermittent problem and I had to file a claim with ( ) customer care to be reimbursed for a rental car because the dealer refused to provide transportation because the factory warranty does not cover rentals. This engine stall continued after two visits to this dealer and having the ( ) handed to another dealer for a month. After two months in the shop for a recall issue and ( ) refused to completely reimburse rental costs, Patrick Law Firm settled and I was compensated ( ). Sure glad I took the time to open the initial letter I received from your firm. I appreciate everything you have done for me. I have recommended several of my friends to you. We wanted to thank you for your assistance with the safety and service issues concerning our brand new RV. After multiple trips and many miles we did not get the issues resolved until you intervened. Your associates returned our calls within hours and questions were promptly explained making the process almost painless. The repairs we couldn’t get done in months were done in one day and you got us a longer settlement than expected. Thanks for fighting for the little guys! PATRICK LAW FIRM MADE THE WHOLE PROCESS PAINLESS FOR ME. IT ONLY TOOK A FEW MONTHS TO GET A GREAT CONCLUSION AND VERY PROFESSIONAL. I was having issue with my radio on my 2014 ( ). They had switched my radio already 3 times. I was upsetting so I called up Patrick Law and they helped me right out. If I knew anyone tha was having problems I’d recommend Patrick Law any day. Thanks. The Patrick Law Firm treated my case with the upmost respect and urgency. Payment was distributed in a timely manner as well. Recieved a personal phone call from Craig on several occasions and he had great professional advice. My experience with Patrick Law Firm was nothing less than professional. They handled in a matter of weeks what I had personally been trying to accomplish with ( ) for over 2 years. Everyone I dealt with at Patrick Law Firm treated me with utmost respect, courtesy, and professionalism. I hope to not need their assistance in the future, but if I do, I won’t hesitate to call and let Patrick Law Firm take care of my needs again. Was a total surprise. It was needed from the cost the car caused me. I am very pleased with the law firm and the way my claim was handled. Craig Patrick and Austin Lankford handled a issue I had with an RV company that was not meeting their warranty obligations. They worked to get us a satisfactory settlement. It was easy to contact them and discuss my case. They worked in a timely manner and got the issue resolved without having to spend my time in a lengthy court battle. I recommend them to anyone having issues with RV’s and the companies that build them. I WAS VERY PLEASED WITH THE MANNER IN WHICH THE PATRICK LAW FIRM HANDLE MY CASE. IN SPITE OF A MISUNDERSTANDING ON MY PART THAT ELIMINATED THE POSSIBILITY OF A FULL “LEMON LAW” RECOVERY CRAIG PATRICK PERSISTED WITH A CLAIM ON MY BEHALF THAT RESULTED IN WHAT I CONSIDER A SUBSTANTIAL SETTLEMENT. MY CASE WAS HANDLED IN A PROFESSIONAL AND TIMELY MANNER. Patrick law firm took our case against ( ) when everyone else didn’t return our calls. They got us a settlement for $28,000 against Ford to help us get back on track. Talk about a great law firm? This is it! Thanks very so much for all your time and effort getting a settlement for me regarding my ( ). You were always very informative and kept me updated very well. I am a 77 yr. Old widow of 18 yrs, who very much appreciates someone who is trying to help me rather than take advantage of me. I would highly recommend your law firm to anyone in a similar circumstance. For over one year I tried to reach an agreement with my car manufacturer. After several unsuccessful attempts I was referred by a well known Lemon Law attorney to The Patrick Law Firm. Upon contacting The Patrick Law Firm I explained my situation, detailed service records were requested and a Letter of Demand was prepared. The Patrick Law Firm and I kept in touch on a regular basis and within 60 days an initial offer was submitted to us. The Patrick Law Firm always advised me of their legal expertise, but never pressured me to agree with any offer. In the end I received a reasonable and fair offer that I am completely satisfied with. I want to thank The Patrick Law Firm for helping me obtain successful results against my car manufacturer. I was unable to achieve these same results alone. 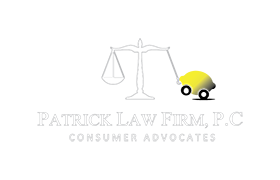 I highly recommend The Patrick Law Firm to all my family, friends, and fellow consumer’s as they have proved to be trust worthy, knowledgeable, and successful in cases involving the Lemon Law! We engaged the help of the Patrick Law Firm regarding issues with our fifth wheel RV. Neither the dealership nor the manufacturer were able to repair the flaws in the RV. Eventually the warranty expire and we were left with an unusable RV. We contacted the Patrick Law Firm and from day one Mr. Patrick’s communication with us was exceptional. He promptly responded to our emails with updates regarding our case. He even called on several occasions if additional information was needed. He explained everything in layman’s terms, the staff at the Patrick Law Firm was also very professional and supportive during this entire process. The matter with our RV was resolved to our satisfaction and we are very pleased with the outcome. I highly recommend the Patrick Law Firm to anyone with matters involving the “Lemon Law”. We are very satisfied clients. I retained Patrik Law Firm’s services for help in dealing with a Lemon Law issue. I had been in contact with the ( ) over problems with my brand new car. They became frustratingly hard to work with and it was time for professional help. The results exceeded my expectations! Not only did I receive an amount almost equal to what I paid for the lemon, but they were also able to secure extra cash for myself and their attorney fees paid in full. I found the experience to be stress free and very much appreciated the speed to which this law firm responded to my questions and concerns. What really attracted me to this law firm was their guarantee of not charging a single dime until I was satisfied with the outcome of this matter, to which they fully lived up to. I would recommend Patrick Law Firm to any consumer who wants a stress free way of dealing with defective products and large corporations that are only interested in their bottom line. My wife and I had the best experience using this firm. They took care of us in a professional and timely manner, we got more back than what we were expecting. They explained everything and kept us updated when needed, making the whole thing very easy to take care of and understand. Overall, I have no complaints and was very happy my wife chose to call them in our time of need. I would definitely recommend this firm to friends and family. Great Job! Patrick got me what I ask for which compensated me for all the hassle I had with my vehicle. He is your go-to for any Lemon Law or related issues with your car. Highly Recommend! Patrick Law Firm was our last recourse in a warranty issue we experienced with our business vehicle. In working with the proper channels, we were unfairly denied the help and satisfaction due in the matter. With Craig as our advocate, his knowledge, skill, and intervention resolved the matter fully and appropriately and to our satisfaction. We are so grateful for their help. The Patrick Law Firm handled everything very well, I didn’t know that the staff was out there to even help with the trouble that I was having! I was very glad that I got to know what the Patrick Law Firm could do for me. If I need any help on a lemon I will use them! Want to thank the Patrick Law Firm for your accurate response in handling my case. My case was handled with a quick turn around and handled so professional. Would most definitely recommend them and I would use their services if needed in the near future. Once again thank you for your great service. After repeated unsuccessful attempts to resolve the multiple issues with our RV through the dealership and manufacturer we were finally forced to seek legal help. I’m glad we did! The friendly and understanding folks at the Patrick Law Firm handled our case as if it was we were their only client. All my calls and emails were answered immediately or within a very short time. Our case was eventually settled at meditation. The excellent representation we had led to very favorable results. We are back on the road and enjoying the RV life once again. I have no doubt the Patrick Law Firm can handle your case, too. Craig Patrick’s lawfirm was one of the easiest and nicest firms I have dealt with. Having to deal with so many car repairs on my 2014 ( ) was extremely stressful. They eliminated majority of tha tstress for me by working hard and diligently on getting me the best resolution possible. I would recommend them to anyone having car issues (legally). Thank you Craig and Austin for all you help!!! I thank you, so much for contacting me on the ( ) situation. I’m very please with your assistance and I was bless with that check. Thank you and many blessings. WE PURCHASED A “PREMIUM” ( ) IN 2012 WHICH HAD TROUBLES FROM DAY ONE. THE TOILET OVERFLOWED INTO THE FURNACE SYSTEM RENDERING IT UNUSABLE. THAT AND OTHER SIGNIFICANT TROUBLES GAVE US A RV THAT WE COULD NOT USE. I CONTACTED MR. CRAIG PATRICK, ATTORNEY AT LAW, FOR HELP. MR. PATRICK ACCEPTED OUR CASE WITH A VERY SATISFACTORY RESULT. WE EXCHANGED THE 2012 ( ) INTO A LUXURIOUS 2015 RV AT NO COST. WITHOUT MR. PATRICK’S KNOWLEDGE AND EXPERTISE AND MOST IMPORTANTLY HIS PAST EXPERIENCE IN NEGOTIATING GREAT SETTLEMENTS WE WOULD STILL HAVE A VERY UNUSABLE RV. I HIGHLY RECOMMEND HIS SERVICES TO ANYONE SEARCHING FOR RV PROBLEM RESOLUTION. Thank you for judiciously expediting the settlement concerning our ( ) and ( ). You helped us during a very difficult period of trying to figure out concering our “lemon”. We highly recommend you and your firm. I was skeptical at first, but I was also very frustrated about the car that I had purchased. So, I said what the heck I will answer this letter from a lawyer that I did not know concerning my lemon of a car. By this time that car had already been in to my local dealer for various reasons over ten times. On my tenth visit to the dealer they told me that the noise that the suspension was a broken piece of plastic that was my fault and if I brought the car in again it would be at my expense. That convinced me to hire the Patrick Law Firm. It was the best decision that I have made. I settled with the Corporation, traded in the car, and now I am very happy. Thank you Craig Patrick, you are the best. Craig I really enjoyed working with you and thank you very much for helping us. I think I’ve made a good friend, THANKS AGAIN. I know you are there for us if we need help. God Bless. Patrick did a great job helping me with my lemon. All the lawyers I’ve ever had to contact and he is by far the best at getting back to you. Thanks again. Thank you all so much, you all help us very much and all ways call us back when we call your office and all ways on time. We will tell everyone we know about your Law Firm. Thank you. Mr. Patrick was very helpful and was able to quickly and appropriately handle my claim with ( ) to get me a fair settlement. It was a pleasure to work with him and his staff. I definitely recommend him. Thank you for the professional handling of our problem with the automotive corporation that you settled for my wife / myself. The expedience your firm gathered all of the information was dne in a professional / quick manner. The advise to us was reassuring and helped us deal with a very aggivating situation. The settlement was a quantifying surprise. We will be happy to refer anyone to the Patrick Law Firm for future clients. Patrick Law Firm did a great job representing me with my case. They were very helpful with any questions or concerns I had during the whole process. My case was a win, although I was very doubtful when I filed. I appreciate the hard work and effort the firm put into my case! I WOULD LIKE TO THANK THE PATRICK LAW FIRM FOR MAKING THIS PROCESS AS PAINLESS AS POSSIBLE. I ENJOYED WORKING WITH YOU TREMENDOUSLY. I WAS UNSURE GOING IN BUT AFTER SPEAKING WITH CRAIG I WAS SURE I WS GOING TO GET EVERYTHING THAT THEY COULD GIVE ME. ANY QUESTION I HAD AT ANY TIME DURING THE DAY, DAY OR NIGHT, I KNEW I WOULD GET THE ANSWER I NEEDED RIGHT AWAY. AGAIN THANK YOU FOR MAKING THIS PROCESS IN GETTING A SETTLEMENT SO EASY FOR ME. BY FAR THE BEST TREATMENT I HAVE GOT SINCE BUYING MY CAR. IT WAS A PLEASURE WORKING WITH THE PATRICK LAW FIRM. THEY WERE ABLE TO RECOVER 9896 OF THE PURCHASE PRICE. WE HIGHLY RECOMMEND THE PATRICK LAW FIRM. I have used Patrick Law Firm about five times in the past. The firm is very easy to work with and takes care of all my issues and questions. The times I have had to use them, all came out successful for me. I would, and I do, recommend Patrick Law Firm to all my friends, family, or anyone that has an issue with an automaker that just can’t get it right. Thank you so much for your prompt service, it means a lot to us. Out of all the lawyer your service was the best thank you. Exceptional. Very good communication I never imagined ( ) will uy my car back. Mr. Patrick diid a great job. I am 100% satisfied with the results. I got a new car with no hassle within 3 mon. I would strongly recommend Mr. Patrick for anyone with a Lemon car. After dealing with our ( ) for about 2 years Patrick Law Firm was able to get them to take it back. It was in the shop for over 29 hours over the last year and they never could fix the issue. We were extremely frustrated but Craig helped us tremendously. I have encouraged several others I have met to give Patrick a try. We were literally out of pocket nothing during the whole process. The longest part was waiting for ( ) to respond to our request. Thanks again Craig, without you and your staff’s help we would still have the 2013 ( ) in our garage. I CAN SAY IT WAS LONG BUT YOU GUYS DID IT FOR ME. THE DEALERSHIP WOULDN’T HELP ME ON BIT. I AM 100% COMPLETELY SATISFIED WITH YOUR LAW FIRM SIR. I WANT TO SAY THANK YOU AGAIN. I CAN NOW PUT SOME MONEY DOWN ON ANOTHER CAR. 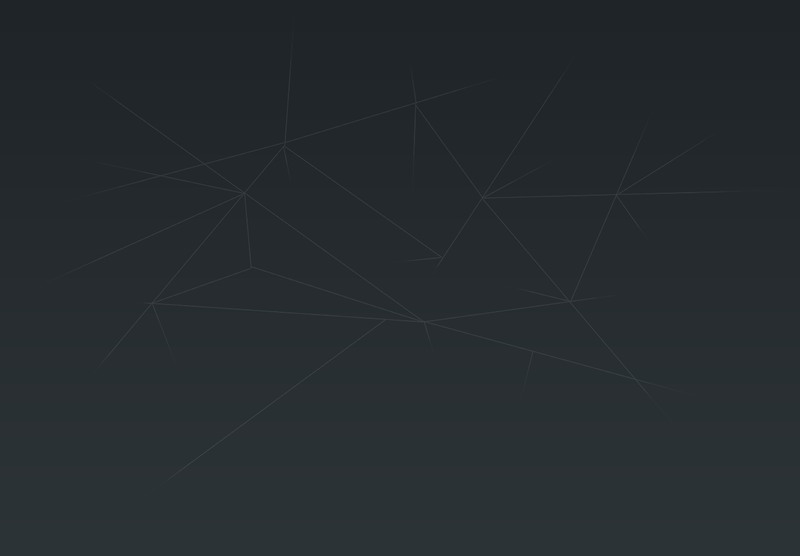 THANKS FOR HELPING ME NAVIGATE MY CLAIM WITH ( ). I MADE NUMEROUS ATTEMPTS TO MITIGATE REOCCURRING ISSUES ON MY 2014 ( ) TRUCK BUT REALLY WASN’T TAKEN SERIOUSLY UNTIL YOU STEPPED IN. IN THE FUTURE I’LL HOPE ALL OF MY AUTO PURCHASES ARE SMOOTH SAILING WITH MINIMAL REPAIR NEEDS, BUT JUST IN CASE THEY AREN’T IT’S NICE TO KNOW YOU HAVE MY BACK. The Patrick Law Firm did an excellent job in helping reach a satisfactory agreement in my case. Craig and Austin proved to be very knowledgeable in this matter and kept me informed each step of the way. I would definitely use them again and refer friends and family to them. In the quest of my wife and I, to find legal assistance in dealing with an RV Manufacturer who put out a severely flawed product, we were fortunate to retain The Patrick Law Firm and Craig Patrick of Dallas, Texas. Mr Patrick listened to a brief summary of our issues and then requested we put these in writing for his review. This we did and shortly thereafter, Mr Patrick phoned us and advised us that he felt we had grounds to legally pursue the matter. For any questions we had, we either called or emailed Mr Patrick and at “no time” did we get his secreatry or another person. We always had contact directly with Patrick. His responses to our emails were frequently immediate and directly answered our questions. Despite some setbacks to the case related to actions answered by our questions. Despite some setbacks to the case related to actions by the RV Manufacture, Craig was always tenacious and pursed our case to the utmost. We therefore, highly recommend the Patrick Law Firm and Craig Patrick. Patrick Law Firm allowed me to recieve funds for my vehicle that had numerous repair issues. This vehicle had been in the shop more than it was used. The total miles on the vehicle was 37,000 and it was a 2012 ( ). I truly appreciate the fast outcome of my settlement. Patrick’s Law Firm did a wonderful and fast job in getting my settlement. Again I thank you for all that you have done. Having major difficulties with a new car and the car maker makes for a bad day – many of them. The time spent to come to some conclusion is discouraging and the results unpredictable. This, for me, was not a “DIY” (do it yourself) project. Professional help was required to pursue the case and Patrick Law Firm was the answer. Great communications! I want to give my testimony of the services given to me by Patrick’s Law Firm. They gave me a very good services, I was well informed throughout the process, and I got very satisfying results. I recommend them for such cases since they were of great help. Thank you for everything. I would like to pass on some information about Craig Patrick and his law firm for anyone considering the use of his services. Craig handled my claim with ( ). I had explained to him that the vehicle was in the shop more than it was used for 2 years. He reviewed my complaint and the documentation in my possession, concluded that I had a valid and well documented argument to proceed. During the entire process Craig represented my wife and I, he showed integrity, honesty and kept us well informed. He gave sound advice from beginning to end. We won our case and would easily use his firm again. We would recommend Craig and his firm to our friends and family. The Patrick Law Firm, PC was awesome in handling my case with my 2014 (). I was experiencing an ongoing mildew odor coming from the HVAC system, which was causing me to break out in a horrible rash and I had to go to several doctors for medication and treatment. After testing, it was confirmed that rash was caused by mildew and mold. After 5 attempts from ( ) trying to fix the problem, I learned that a Stop-Sale Order was issued a month before I purchased the car on 1/30/14 (the car was sold to me 2/24/14 without any disclosure of a stop sale). I would not have purchased the car with the knowledge of a STOP SALE ORDER; however, () and the dealership sold the car regardless and they were in violation for selling me the car. A car is NOT to be sold with a STOP SALE ORDER. We had a lemon law claim and a DTPA claim. The Stop Sale was issued for faulty seat heaters that could have caused the car to catch on fire. Supposedly the seat heaters were fixed per the instructions from (). I was very concerned that my car was almost a year old and under 10,000 miles and I was experiencing so many issues. I just wanted the dealer to take my car back and pay the balance of my note. That happened thanks to the Patrick Law Firm PC! I didn’t have to pay any money to return my car. I am very pleased with the outcome of my case. I got the result I wanted. We were Blessed to had the Experience with the Patrick Law Firm. Our concerns were taken care of In A Very Professional manner and well detailed to us as to what was the process of the investigation. We were very pleased with our services. Thanks.